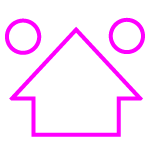 Easily identifed on charts, the direction of buoyage is represented on Admiralty charts by a large purple arrow pointing in the direction of the buoyage. Generally however, the direction of buoyage when entering a harbour is into the harbour from the sea, or if in a river, towards the rivers source. It is important to understand the direction of buoyage as it determines the side in which you should pass lateral buoys. When following the direction of buoyage, the lateral buoys on your port side are the port lateral buoys, and the lateral buoys on your starboard side are the starboard lateral buoys, makes sense. 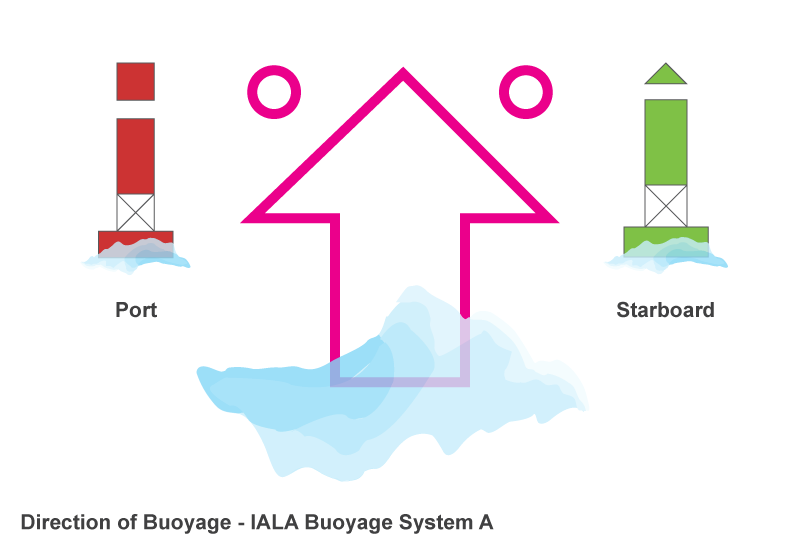 So if you're travelling against the direction of buoyage, port lateral buoys will be on your starboard, and starboard buoys will be on your port side.